Facebook and Twitter not wowed by popular supermarket's apparent 'Gifts to WOW MOM' suggestions. Needless to say many people found the display confusing, demeaning and definitely not in the spirit of Mother's Day. Was this just a marketing stunt? The supermarket, which falls under Shoprite Holdings Ltd, was quick to respond to the allegation that they had deliberately placed cleaning supplies on the display, and released a statement on its website. 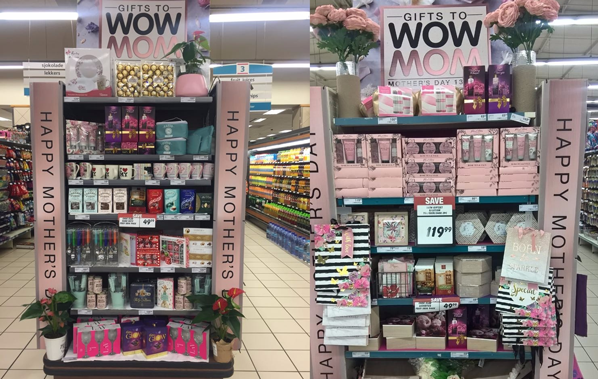 The statement reads that the Mother’s Day photo that went viral on social media was taken at the Checkers Van Der Lingen store in Paarl. The statement claims that it was taken while the store was in the process of moving a Mother’s Day display from the back to the front of the store. "The merchandise was moved and the posters were only moved afterwards." The store also posted pictures of what the display looked like after it was completed. The company further acknowledged how the first picture may have been misconstrued and apologised for that. 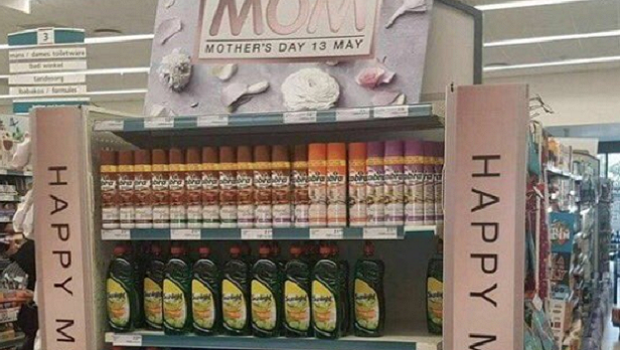 It further added "It was never our intention to put up a Mother’s Day display consisting of cleaning products." Although many Twitter users jumped on the bandwagon of the first photo's backlash, some Twitter users didn't believe that Checkers would purposefully put up such a display. Did it ever occur to the person who took that picture at Checkers that maybe they didn't finish setup the display? Or they just wanted to be famous on Social Media while causing abuse for the franchise. Some users simply found humour in the display and suggested that Checkers do a similar display for Father's Day. Hey Checkers please can you put this display up for Father’s Day too! Because my rubbish-at-cooking dad does loads of washing up ???? Can’t wait to treat him to a special bottle of dishwashing liquid @bhallowes ? ?